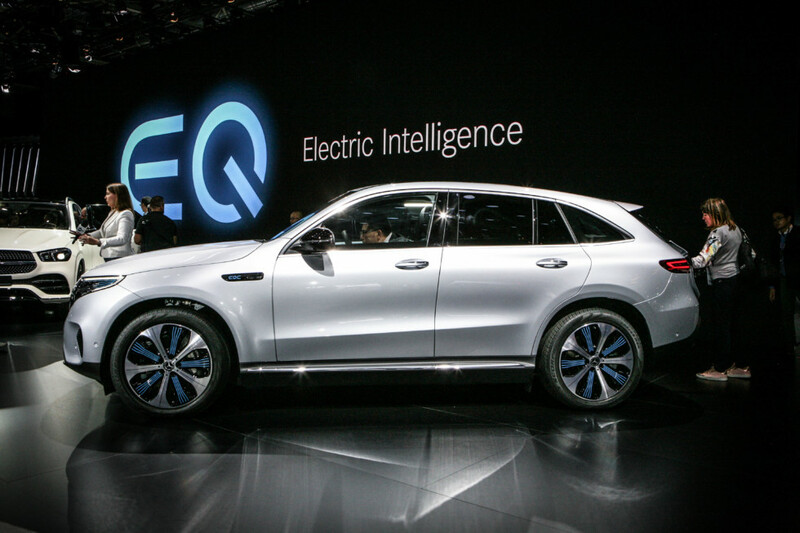 So, a month ago, from official sources, we learned that the EQC is built on a modified GLC crossover platform (wheelbase 2873 mm), but at the same time it has a more elongated body (length 4761 mm). Kinship with the model, designed for the use of internal combustion engines, led to the fact that the EQC does not have the usual front trunk for electric vehicles: the entire engine compartment is occupied by a powerful tubular frame, on which the electric motor and the power electronics unit are mounted. The appendix looks especially touching, repeating the contours of a hydromechanical automatic gearbox, which, of course, does not have EQC. 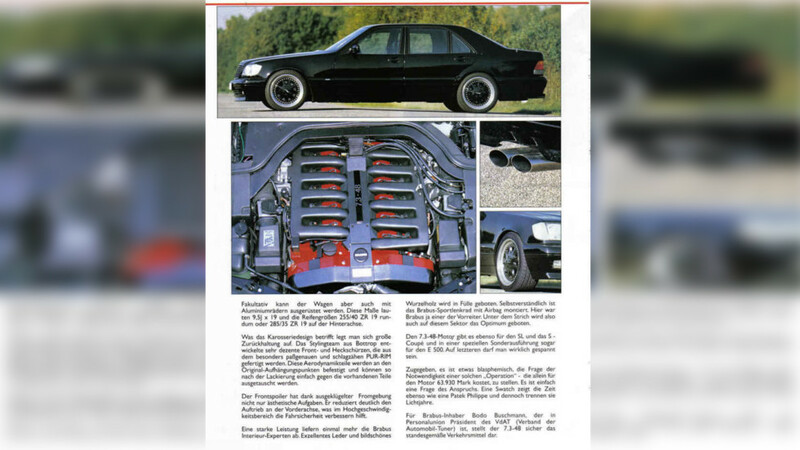 In general, the layout, frankly, is not very elegant, especially for a company that has historically been famous for all sorts of technical breakthroughs, including in the field of bodywork. Let’s go back to the size. 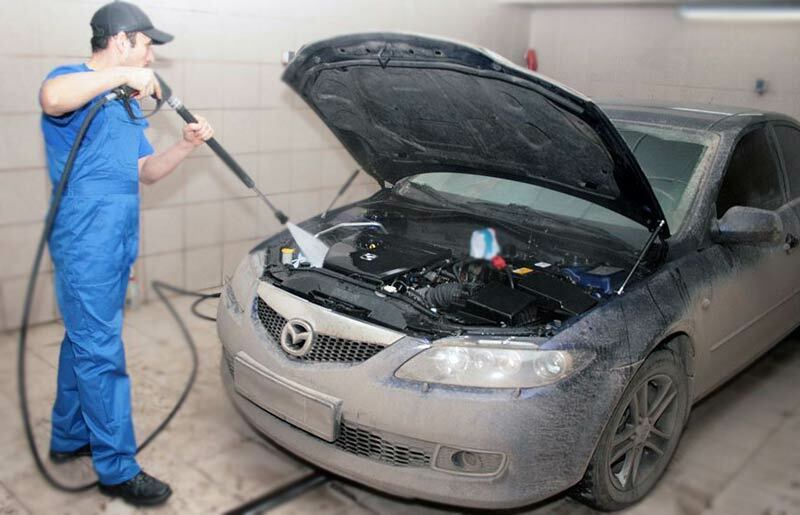 The correspondent of the portal Kolesa.ru armed with a tape measure penetrated under the bottom of the electric crossover to measure the amount of ground clearance, about which the manufacturer shyly kept silent a month ago. So from plastic protection to the floor – only 12 cm. This is the level of sports cars, not crossovers, that is, there is no need to conquer off-roading or even crawling onto curbs, and the EQC all-wheel drive is needed for confident behavior on slippery roads and effective implementation high torque of two electric motors – 765 Nm. The total maximum power is 408 hp Acceleration to the “hundred” with a pedal to the floor takes 5.1 seconds, the maximum speed is limited to 180 km / h.
In fairness, we cancel that the concept of a “crossover” in the civilized world means the characteristic proportions of the car and the relatively high seating position of the driver, instilling in him a feeling of confidence and safety, and not increased maneuverability, so no one expected EQC. But the progressive Western public was very much counting on a large power reserve. And here Daimler also darkens: only a preliminary mileage is announced, which is provided by a battery with a capacity of 80 kWh – about 450 km. But this is on the outdated “turtle” NEDC driving cycle, and not on the more realistic and relevant WLTP. How much will actually be, so far you can only guess: EQC will be available for sale only in the middle of next year. Meanwhile, commissioning works on the assembly line of the plant in Bremen are in full swing. The reasons for the big pause between the presentation of the serial model and the beginning of its sales Coles.ru told in detail in September. The bottleneck in this case is the battery of the subsidiary Accumotive, which is produced in a new building of a specialized plant in Kamenets (Germany). 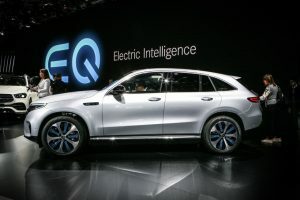 It will be at first that it will restrain the pace of production of an electric Mercedes of a new generation, and therefore the EQC may even become a deficit. 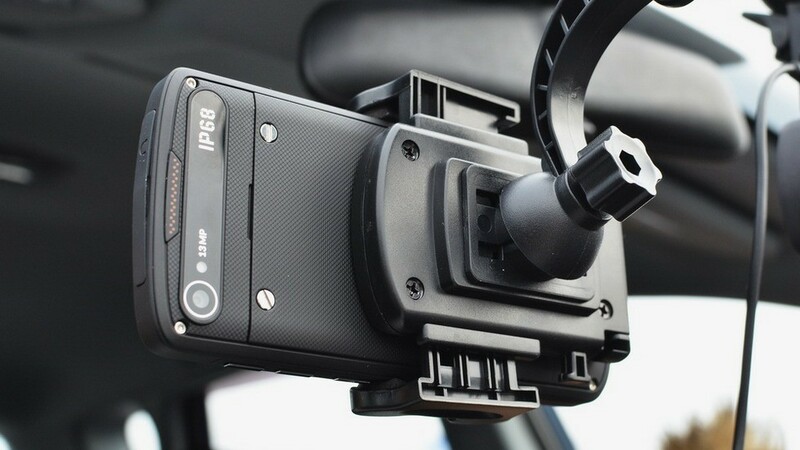 The first journalistic tests and consumer reviews will quickly indicate a place in the global electromobile hierarchy of the EQC crossover. It is even possible that, in view of inconclusive consumer qualities (first of all, less than the competitors, the power reserve per charge), the main consumer of EQC will be the German government, continuing with perseverance worthy of better use, to drive the “green wave”. However, even these without prejudice to the patriotic feelings may prefer the Audi e-tron, which promises an honest 400 km power reserve per charge on the WLTP cycle with a battery capacity of 95 kWh. Of course, it’s very interesting how the Mercedes-Benz EQC will go, but in Paris it could only be felt, and the tactile sensations, it must be said, were not always pleasant. For example, a large chrome false radiator grille turned out to be plastic and very flimsy.